After a low-key opening ceremony late Monday, tensions erupted almost as soon as formal business commenced on Tuesday, when China's Du Qiwen attempted to address a meeting about climate change. The exchange highlighted sensitivities over Beijing's rising influence in the region, where Nauru backs Taiwan over arch-rival China in the battle for diplomatic recognition. A few hours later, police took veteran TVNZ journalist Barbara Dreaver into custody as she was interviewing an asylum-seeker held on the island under Australia's hardline immigration policies. The plight of the refugees, particularly children, has threatened to overshadow the summit, despite attempts by Nauru authorities to control visiting journalists. She described herself as "fine and dandy" after her release but said she was now barred from attending PIF press conferences. "I can do Forum stories but I'm not allowed to report on anything to do with the refugees," she told TVNZ. Australia's Lowy Institute think-tank said earlier this year that Nauru's government "has recently lurched towards authoritarianism". Opposition figures have been arrested and judges sacked for making decisions the government disagrees with. Authorities have also muzzled the media, strictly controlling journalists' access to the tiny island. 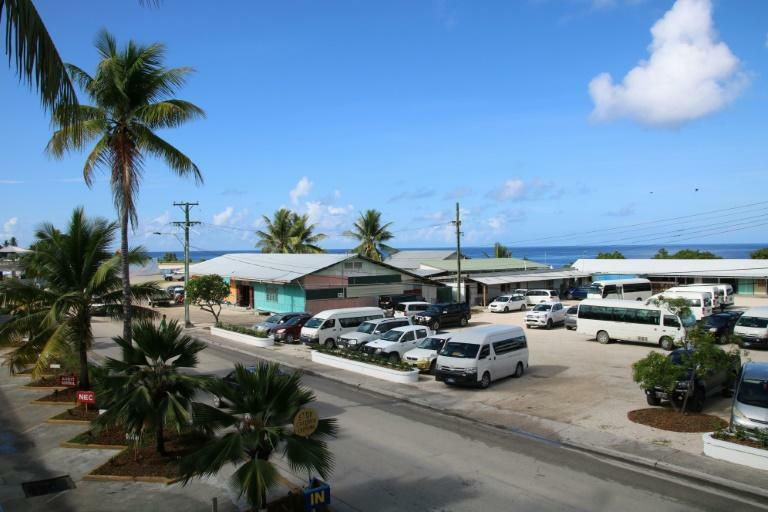 Few foreign reporters have made it into Nauru in recent years, with many hampered by a decision to charge Aus$8,000 (US$5,800) for media visa applications, non-refundable even if not granted. The fee was temporarily waived for the PIF but the government curbed the number of reporters allowed into the country to cover the region's biggest annual diplomatic meeting. It also banned Australia's public broadcaster ABC after taking exception to its coverage. Reporters who did make it in are subject to unprecedented restrictions at the usually media-friendly event, under threat of visa revocation. "You are only authorised to report on, or take photos or videos of the PIF. Any other subjects must be approved by the RON (Republic of Nauru)," the media visa restrictions said. After Dreaver's release, the Nauru government said the only restrictions it had placed on journalists were for safety reasons. "No journalist on Nauru has been prevented from talking to any person, including refugees," it said. "However, in order to protect the safety and security of all, journalists were required to follow procedures." The controversies have left Nauru struggling to control the agenda at the 18-nation summit, where official business is focussed on climate change and regional security. It was revealed Tuesday that the China issue almost derailed the entire event, when some member nations threatened to boycott it over Nauru's treatment of Beijing's delegation. 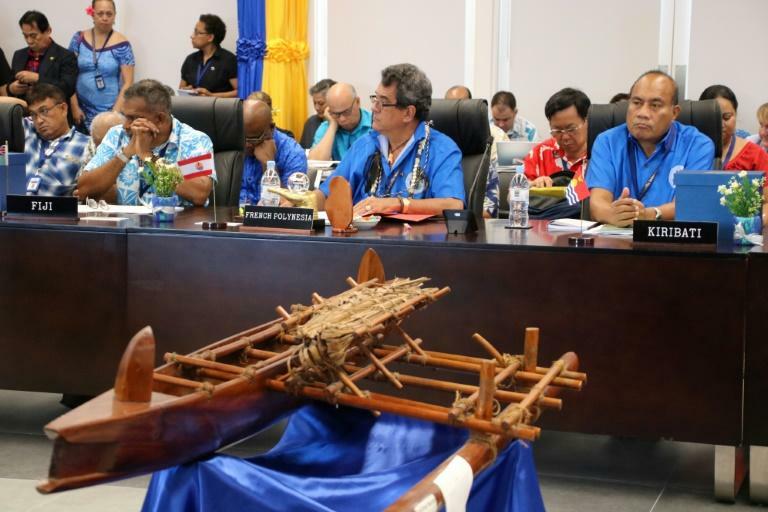 Samoa Prime Minister Tuilaepa Sailele Malielegaoi said Nauru's actions risked undermining "the integrity, credibility and foundation of our organisation". "Your unilateral action as President of Nauru is a dangerous precedent that I believe may not be accepted by forum leaders," he wrote in a letter to Waqa obtained by AFP. While a compromise was reached, this year's PIF continues to be one of the most ill-tempered since the organisation was established in 1971.